I used LinkedIn for both a personal account and a company page, so one of the first things that I do after meeting a new person and receiving their business card is to connect with them on LinkedIn. 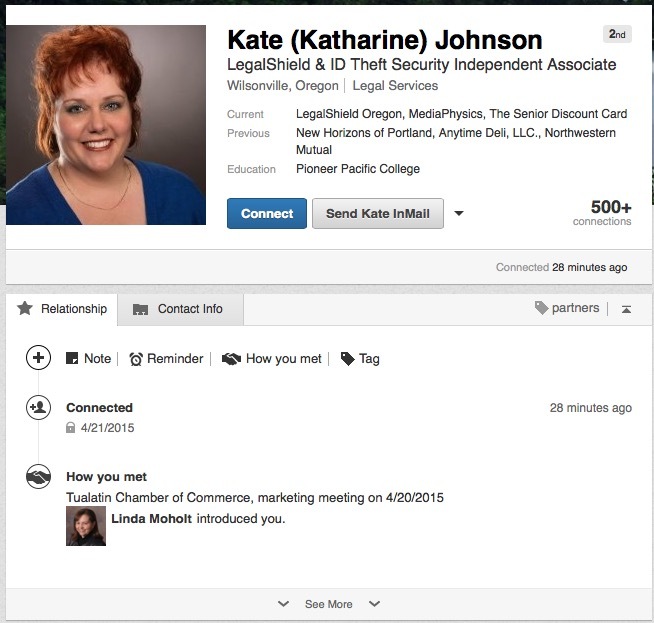 Yesterday I met Kate Johnson from LegalShield, and sent her a request to connect which she did. 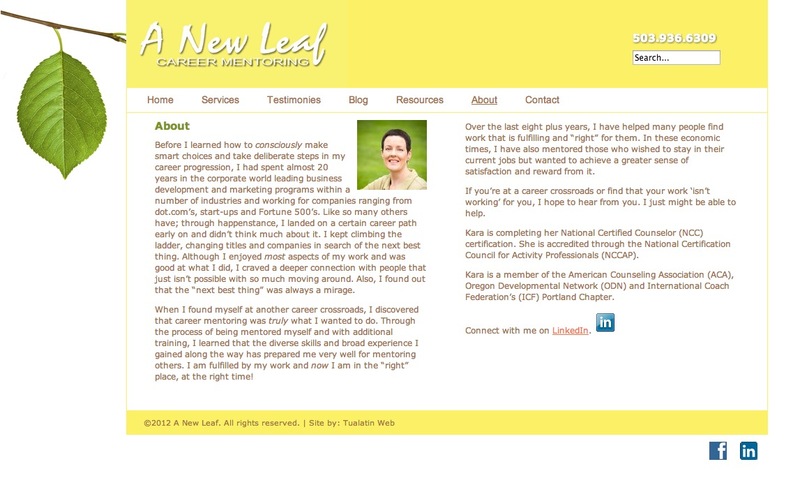 When I used LinkedIn and searched for her profile this morning, I expected the status to say that we were connected however I saw the familiar blue Connect button still displayed indicating that we weren’t connected yet. Looking at the fine print under the Relationship tab it does indeed say that we were connected on 4/21/2015, but the bug persists in showing the blue Connect button. So even high-tech companies like LinkedIn have bugs in their cloud-based software as a service. I recommend that you consider using LinkedIn as a way to showcase both your own professional accomplishments and those of your company also. Even with the occasional bug LinkedIn is still quite a useful networking tool that builds awareness for both you and your company. Yes you are correct, and I experience the same bug. However, just some 30 minutes ago, I noticed that the majority of the ‘bug’ connections became corrected. I will see again in some 5 hours from now if all of the ‘bugged’ connections are corrected. Also, i have another bug in that my ‘invitations’ label is gone in my inbox! So I can only accept invitations through the small notification icon, which is quite unhandy. Thanks for reporting the bug and feel free to connect with me. Ronald, Yes, this bug was transient in nature and I’m now really connected with Kate. David, It seems there is another bug in effect now, in that about 50% of the new connections do not show up in the contact list, while in fact the connection is made. It also might not deliver ‘inbox’ mails send to those contacts that do not show up in the list. (because I can actually see a lack of response there). For the past about 15 hours I notice this effect very strongly, and so far no correction has been made yet. People who only get a connection so now and then might not even notice it, but for someone (like me) who receives many invitations daily, I can clearly notice the effect. Syncing is sporadically working, but does not resolve the missing contacts. Let’s hope it is resolved soon. Daniel I mean… (My head is spinning with names of missing contacts). I’ll be presenting to the Portland Metropolitan Photographer’s Association on Thursday, July 9th starting at 7PM. More details here.